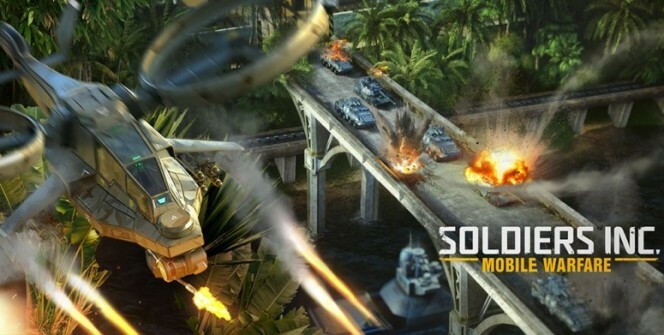 Developed by Plarium Global Ltd., Soldiers Inc: Mobile Warfare is a MMO strategy game that takes you to the year 2037 to fight the evil Phoenix Corporation which has grabbed the world’s only lifesaving serum- Selva De Fuego. You are supposed to train your troops, construct your base and lead the army against the enemy. The game is compatible with Android and iOS devices, but it can as well be downloaded and installed on a PC. The game presents you with hero characters that you can select to build a team of fighters. The troops are upgradable, so you can always add strength and power to your fighters to build an unstoppable army. 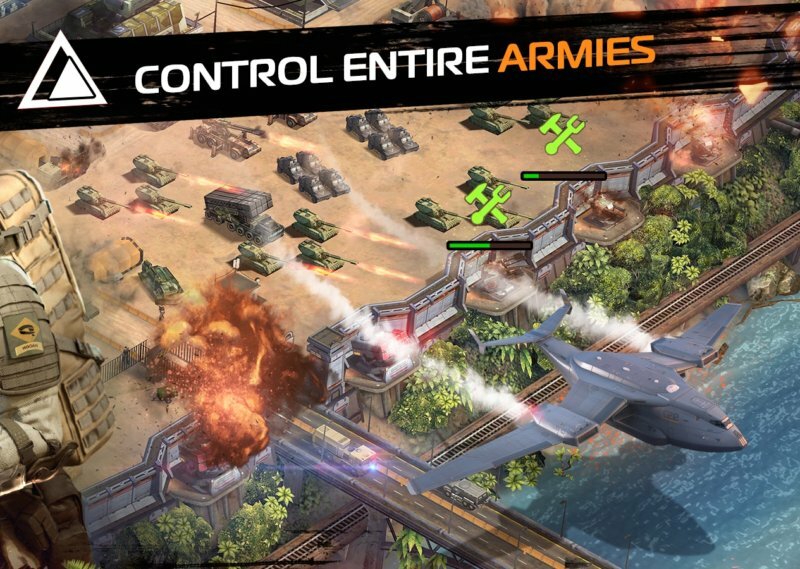 When it comes to the weaponry, the game presents you with a top-notch arsenal of weapons, including tanks, futuristic military drones and assault vehicles. There are a number of benefits available to you when you join an alliance on Soldiers Inc: Mobile Warfare. You can get building boosts which reduce the amount of time you take to finish constructing buildings. When being attacked, you can get help from the alliance members and end up winning a game that you would have otherwise lost. In this game, you can unlock annexes which give you the Boost Annex and other resources. The Boost Annex is generally a building which can save you a lot of time if you plan to play the game every now and then. When you unlock the annexes, it is recommended to concentrate more on building the boost annex than gathering the other resources. The extra construction slot allows you to construct up to two buildings at a time. This boost is usually temporary: it last for only three days, so you should grab it as soon as it appears. The most important thing when you get the slot is to build as many structures as you can. This is most important in the late stages of the game, and it enables you to give your army the best boost. Each piece of gear is designed for a certain type of unit, like the combat aviation, armor, mechanized infantry or light infantry. When sending out a squad that features one type of unit, match it with the right gear and you will win more battles. It is not recommended turning in the quest when you are nearing the caps on the current supplies to avoid hitting the caps early and end up wasting the rewards. The space for resources (which are basically rewards in the early levels) can be limited and therefore if you keep claiming the rewards, you will lack space at some point and lose the claimed resources. The only sure way to download and install the sci-fi based management game on your laptop or desktop is to have an Android emulator on your computer. This software provides you with the game app and allows you to download the app on your PC. Sometimes when playing Soldiers Inc: Mobile Warfare, bluestacks ask you fee to pay but gives you option to download some apps. Every time it asks you just select “Install apps” and continue using it free. I hope you enjoyed this article, please rate and share. If you have problems running Soldiers Inc: Mobile Warfare on desktop or any other issues, leave a comment below.